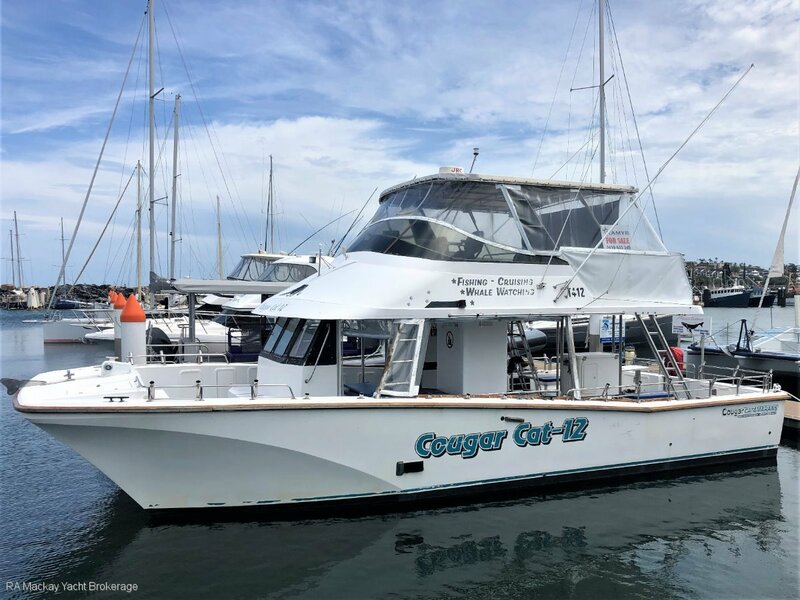 This Cougar Cat 12 flybridge power catamaran can be skippered by Coxwains, has four different licences for commercial fishing, whale watching and general passenger cruises in the Solitary Islands of Coffs Harbour. She is in current NSW 1C Survey for 35 people, has a permanent berth at Coffs Harbour Marina, is a going concern and is ready to go to a new owner. The potential is amazing- whale watching in the winter, fishing in the summer and sight seeing cruises all year round. Ample seating all round the boat, boarding platform on the transom.